Your point about the dangers of too much testing, of overtreatment, and of medicalizing otherwise healthy people is spot-on. A false positive stress test is both disheartening (pardon the pun) and dangerous to the patient, as you describe. A previously healthy person falls down the hole of unnecessary medicalization, is labeled a “heart patient,” and is put on the conveyor belt of referrals, tests, prescriptions, and follow-up visits. Now, on top of anxiety over what lies ahead (PCI, bypass, a half-dozen medications), they’re left to cope with the stigma of being a heart patient. In addition to the risks inherent in a trip to the cath lab, that person’s identity is changed and their sense of health might just be destroyed. I highly recommend Nortin Hadler’s book “Worried Sick” if you haven’t read it already. Your blog has a new subscriber. 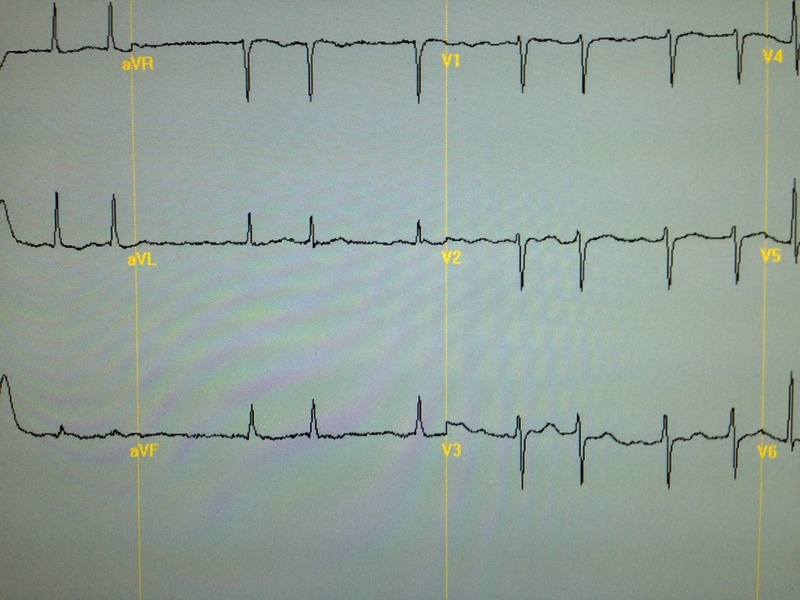 I’m a 32 year old female, no heart disease risk…I do have MS and was getting all my pre screening for a new medication and my ECG’s keep showing “old anterior mi”. My treatment is now put off until this all gets figured out. I do have episodes, randomly, of very fast HR which according to doctors are panic attacks or SVT. Apparently an ECG I had done in the ER (I went for fast HR) over a year ago also showed “old anterior mi” no one informed me then. My fast HR episodes and palpitations have increased significantly since finding out about the heart attack I have no recollection of having. Basically, I just wanted to let you know this blog post gave me some relief, and I’ve also been reading the other posts, I don’t understand most of it…..I probably do need more potassium though.